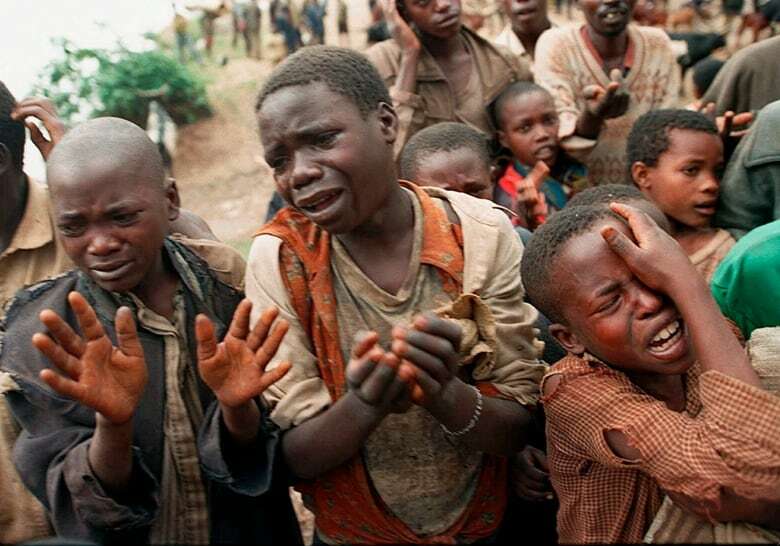 This weekend marks 25 years since the killing began in Rwanda. CBC Radio's Ottawa Morning spoke with survivors to find out how they're doing today, and how they're remembering those they lost in the genocide. On April 7, 1994, Liliane Kayirere's life changed forever. She was 14 the day her father came rushing into their home in Rwanda. "My father had heard that one of his friends had been shot, and he came home ... terrified and wanting to make sure that his family was going to be safe," Kayirere told CBC Radio's Ottawa Morning on Friday. They decided to flee to a neighbouring religious community while her mother stayed behind to pack essential supplies. "I didn't know that it was going to last for 100 days, and certainly I didn't know that I was going to see bloodshed, losing my father and my brothers. It certainly didn't dawn on me that it was going to be horrible, on that day." They thought they'd be safe at the religious compound, but the militia showed up with grenades and started throwing them. Kayirere's father and brothers were killed. A woman in the compound made up a story about being the relative of a well-known high-ranking military official, and the militia believed her, recalled Kayirere, who now lives in Ottawa. "[The woman] took a few of us who were there, saying that we were family, and they took us to a hospital... She pretty much saved our lives." Kayirere has no idea who the woman was, and hasn't seen her since. Christine Kayirangwa, who now lives in Gatineau's Aylmer neighbourhood, left Rwanda before the violence broke out. She lost several family members in the bloodshed. Her father was the first to be killed. Her mother, sisters and brothers buried him on their property, which wasn't far from a military camp in Kigali. They left soon after, but roadblocks prevented them from getting very far, so they ended up staying with a neighbour, but it wasn't for long. "That's where they stayed until the killers took them, one by one. It was over in about a month. We've never been able to find out exactly who took them, where they took them, where their bodies are, how they were killed, nothing," Kayirangwa said. Even her father's body was disinterred. "We've never been able to bury anyone, or even to have a place we can call ... our remembrance place ... where we come and remember them." Kayirangwa is now secretary general of the Humura Association, a network for genocide survivors in Ottawa and Gatineau. The association is holding events throughout April and May to mark the 25th commemoration of the genocide. For many years, "my policy was to die, not deal with," she told Ottawa Morning. "Only recently I've really been able to say, I have to face this ... and I have to be part of the effort to make sure what happened is known, known all over, because this is how we prevent similar events [from happening] in other places," Kayirangwa said. "We have to remember these people. It is sad, it is heart-wrenching, but it's our job. We owe it to our people, we owe it to the world." A walk will take place at 1 p.m. from Parliament Hill to the Canadian War Museum, where a ceremony will be held from 2 p.m. to 5 p.m.
Shakilla K. Umutoni, the Rwanda High Commission in Ottawa's chargé d'affaires, said the theme of this year's commemoration is remember, unite, renew. The goal is to remember those lost, to make sure the survivors have enough support, and most importantly, "to reflect on that journey, what we've been able to achieve 25 years ... since the genocide against Tutsis. You'll understand that the country was completely destroyed, and we've had to rebuild from scratch," Umutomi told CBC Ottawa TV host Adrian Harewood. "Our hope is that the new generations of Rwandans, the post-genocide generation, will be able to ... sustain what we have been able to achieve so far." Today, she said, people in the country don't define themselves the way they used to. "If today you ask someone from Rwanda, are you Hutu or are you Tutsi, it would be very difficult for you to get a straight answer, because now we define ourselves as Rwandan."